For you, Cancer, this month presents opportunities to focus on spirituality, solitude, and projects behind the scenes as well as your body, health, image, and personality. Although Mercury leaves Gemini for Cancer on June 12, your ruler, the Moon, will link with the Sun in Gemini from June 15 through 17, lending her emotional sensitivity to prevailing energies before the Sun changes signs on June 21. For you, Cancer, planets in Gemini always activate your twelfth house of spirituality, solitude, health (especially psychological), and secret projects you work on anonymously or behind the scenes. All the Gemini planets will intensify your desire for time alone (perhaps to work on something you’re not ready to launch), your wish to attend to health, and your devotion to spirituality and serving others. Use this time to look back on the past year because very soon you will start a new year with your birthday. For you, Cancer, planets in your sign energize you because they put powerful emotions and nurturing leadership into your first house of the body and your personality. Even if your birthday comes late in your sign, as soon as the Sun enters Cancer you typically will feel a lift that sustains you until your day of cake and candles arrives. For you, Cancer, the June solstice allows you to think about how others perceive you as well as your health, body, and personality and how they allow you to feel secure. It also may inspire you to apply your imagination in transforming your fitness or nutrition or letting your personality blossom so you can feel more confident and healthy. For you, Cancer, Mars retrograde can help you monitor your energy this month and notice how it changes as the retrograde draws near. Your drive to accomplishment may taper off, and you may find yourself desiring nothing so much as a break from the action. With the retrograde occurring mostly in Aquarius, with a bit of Capricorn at the end, you likely will experience its decreased energies in your intimate life, deep spirituality, and shared finances as well as in your marriage, business partnerships, and agreements. Give yourself permission to ease up on passion, close relationships, or spiritual striving so you can relax and come to terms with what you truly desire. Plan a vacation and spend some time reviewing tax, insurance, or credit terms. These steps will ensure you come back rested and ready for action when the retrograde lifts at the end of August. June 1 and 2: Mercury in your solitude house angles perfectly with Mars in your deep spirituality house, so pay attention to dreams, spend time alone, or pursue deep transformative work with a therapist or in spiritual work. Also, Venus in your personality area will make the same perfect angle with Jupiter in your children and creativity house and with Neptune in your travel and education sector. Bring your artistic flair to a major arts project and seek international exposure for your talents or plan an overseas trip for your family that involves compassionate service to others or allows you to develop on the inner plane by experiencing sites with spiritual overtones. If you’re involved in a child’s education, your love and example may help bring about a life changing opportunity for higher education or musical instruction. June 5: Venus in your personality area will face off against Pluto in your marriage and partnership house, suggesting challenges balancing your needs and wishes with a partner’s desire for control. Others may not be sympathetic, so wait to hold sensitive discussions. Instead, harness the Sun and Mercury, which will join together in Gemini in your most private house, giving you unusually clear intuition, guidance through dreams, and opportunities to start a solo writing project through journaling. Also, you will have the power to harness thought to support health and spiritual progress, so focus on the highest good for all and ease tensions by talking with a sister or brother about a confidential concern or working quietly on a promotion or social media campaign you’ll launch down the road. June 6: Both Mercury and the Sun in your privacy house will challenge Neptune in your international house. If you’ve been working on a visa or immigration concern, you may face delays and lack of clarity. Avoid pushing for answers or revealing sensitive personal data as you seek guidance through meditation or time alone to think and dream. June 12: Mercury leaves your psychological and privacy house for your first house of the body and personality. 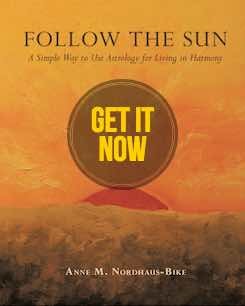 You may become more curious about nutrition and fitness or have new ideas to express your unique personality in harmony with your inner truth. If you’re working on a health issue, new and better solutions may emerge now. June 13: A busy day, with a new Moon in Gemini lighting your psychology, dreams, and spirituality house. The next two weeks bring your best time all year to begin working with a therapist to overcome old patterns, start a dream journal, or help a brother or sister privately or even anonymously. Also, Mercury, Gemini’s ruler, will align helpfully with Uranus, bringing brilliant potential to any project of powerful personal meaning, especially through networking at clubs, business mixers, or with friends. In addition, Venus will enter passionate Leo, bringing love and kindness to your house of earned income, possessions, work, and values. Bring your creative spark to your work life, help a colleague in need, or invest in something beautiful such as new artwork for your home. If you’re interested in someone at work, romance could bloom, and if you’re married, treat your partner to a bit of affordable luxury if you can. June 14: Venus in your income area tangles with Uranus in your friendship house, suggesting a pal’s tip about a promotion, job, or fundraiser may not play out as expected. June 15: Mercury in your personal projects house faces off with Saturn in your partnership house, so you may need to rethink an initiative to make plans more realistic and acceptable to your partner. Wait to speak with your spouse or business partner so you can strategize and consider long term goals. June 18: Neptune begins its long annual retrograde in your travel and education house, helping you reconnect with foreign contacts, classmates, or people in the arts. June 19 – 20: Mercury will align beautifully with Jupiter in your romance area and then Neptune in your education and travel house. Your intelligence may attract a new love, perhaps someone from another culture or who works at a nonprofit or in the arts. Expand your vision of what will intrigue you and make you happy. June 21: The Sun leaves Gemini for Cancer, energizing your first house of your personality, health, and meaningful projects. Celebrate this solstice day with your family and have fun caring for everyone with a personal touch and a homemade meal that reflects your culinary gifts. Enjoy the next month’s nurturing, caring energies. June 22: The Sun in your personal house connects well with Uranus, bringing offers from friends to help you network or further a project dear to your heart. June 23: Mercury in your health house challenges Pluto in your partnership and agreements house. If you and a partner disagree, you may feel mentally drained, which could affect physical health. Wait to press your point and avoid power plays or hasty words. June 25: Venus will be out of sorts with Jupiter in your children and romance area. If you want to conceive, financial concerns may stall fertility treatments, and if you have children, high expenses may create concerns and press you to review budgets and pare spending. If you’re in a new relationship, you may need to postpone a date to work late or finish a creative project. June 26: Mars will begin a two month retrograde in your house of gifts, commissions, child support, taxes, and other shared money. Expect slowdowns in all these areas, and if you want to apply for a mortgage, loan, or venture capital, wait to submit your application until after the retrograde. Consider taking a vacation during this time if you can get away. June 27: A full Moon arrives in Capricorn in your marriage house, and with Saturn joined with the Moon and the Sun involved in this alignment, something related to your relationship may peak and could feel draining or demanding. See what surfaces at this powerful full Moon but wait to take action because you will benefit from operating strategically so you can assess long term ramifications. June 28: Mercury leaves watery, emotional Cancer for fiery, passionate Leo. Let your mind turn to creative ways to increase income or how to afford something beautiful you’ve wanted for your home. June 30: Mercury in Leo will bump up against Uranus in your eleventh house of memberships and clubs. Ideas for finding new clients or a new job by joining an industry association may need reworking to be practical or fit your budget. Be kind to yourself and all concerned by stepping back to achieve better perspective. In addition to all these dates, Cancer, your birthday will arrive soon. Happy June, Cancer! I wish you a wonderful month!